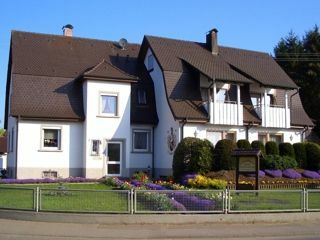 You find our pension in the village Ahausen. We offer 3 doublerooms and 2 holiday flats, one with a size of 75 qm in a separate new building. A indoor swimming-pool is in the village. 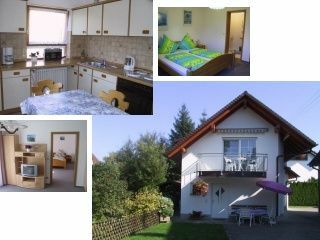 You find Ahausen in the beautiful valley of Salem, about 5 kilometers distance to the lake of constance. The wonderful place with its soft hills, ponds, forests and sights invites to cycle. Coming from the motorway - always on the shores of beautiful Lake Along propelled- the pretty town of Meersburg with its impressive castle and old town. Drive past her Mark the direction of the village, which lies on the B33 continues at the foot of Mitre mountain. On his observation tower offers a panoramic view over Lake Constance.